A business unit of General Dynamics will provide medical training support to the U.S. Army under a potential five-year, $58.9 million contract. 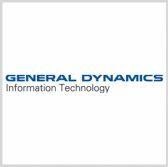 General Dynamics Information Technology will help the Army Reserve organization facilitate training and exercises as part of a regional training sites-medical program, the company said Thursday. Rich Farinacci, vice president and general manager of GDIT’s professional services and training solutions sector, said the company aims to help address the service branch’s medical support requirements through integrated combat health and logistical support training. The contract was awarded by the Army Medical Command and contains a one-year base period plus four option years.